The purpose of this study is to identify the effect of religious beliefs on the attitudes of pregnant women toward the health of the fetus. Pregnancy, one of the important periods of life, is a special period in terms of affecting both the mother’s and the baby’s health. Health beliefs and attitudes are the factors that have effects on mother–baby death rates (mortality)—which is one of the most important criteria showing health level of societies. However, the literature has limited number of studies on this issue. Volunteer participants who applied to the Gynecology and Obstetrics Polyclinic were administered a questionnaire in order to identify the frequency of performing worship practices. Women’s beliefs about their roles in determining their fetus’s health were measured using Fetal Health Locus of Control (FHLC) scale. FHCL scale is composed of 3 sub-scales which include Internality Locus of Control (FHLC-I), Chance Locus of Control (FHLC-C), and Powerful Others Locus of Control (FHLC-P). Non-normally distributed scale scores were analyzed with Mann–Whitney U test for two independent groups and Kruskal–Wallis test for three independent groups. The scores obtained from all the sub-scales of the FHLC scale according to the praying groups were statistically significant (p = 0.008, p < 0.001, p < 0.001, respectively). The sub-scale scores were not statistically significant according to the tendency of giving alms (p = 0.269, p = 0.695, p = 0.079, respectively). The FHLC-I and FHLC-P scores did not indicate differences according to the tendency of going to pilgrimage (p = 0.914, p = 0.578), but FHLC-C scores were significantly higher in those who tended to go to pilgrimage (p = 0.004). There was a significant relationship between the tendency of performing prayer and going to pilgrimage and attitudes toward performing double–triple tests and oral glucose tolerance test (p = 0.002, p = 0.035, respectively). 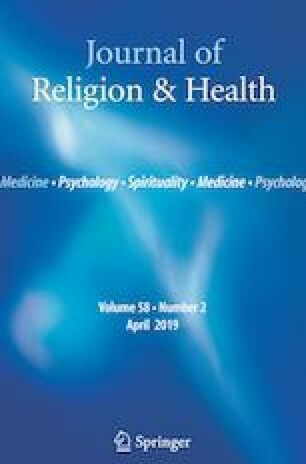 Religious beliefs were influential on the attitudes of pregnant women toward the health of the fetal. Gynecologists should consider patients’ religious belief sensitivity while recommending them screening tests or planning their medication. Author Demir declares that he has no conflict of interest. Author Yıldırım declares that he has no conflict of interest.